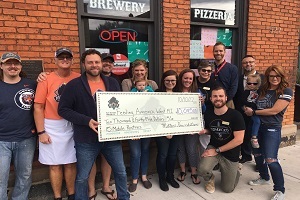 Hunger is a devastating reality that many children in West Michigan and the Upper Peninsula are faced with. 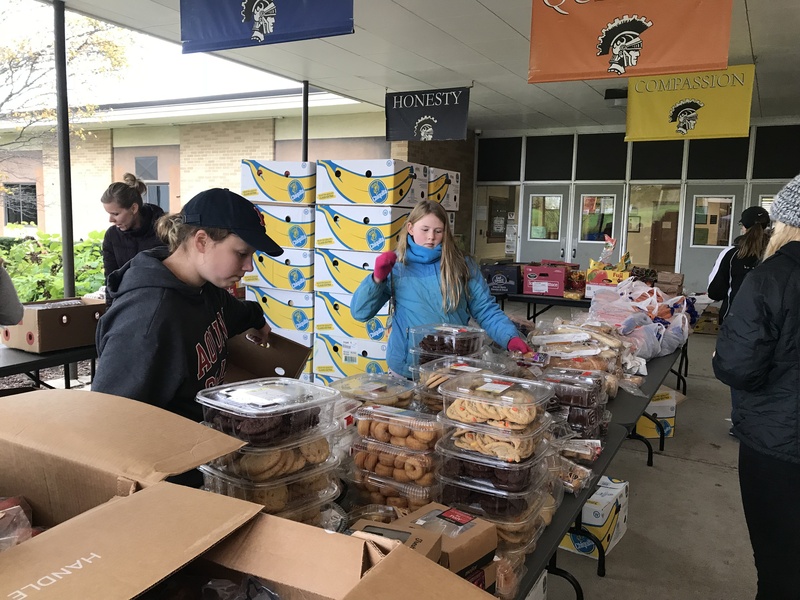 Morgan Stanley and Kraft Heinz Company Foundation are doing their part to fight youth hunger by funding Feeding America West Michigan mobile food pantries at schools throughout the food bank’s 40-county service area. 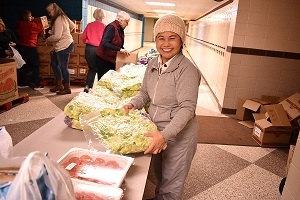 Each month, 5,000 pounds of food arrive at the school – enough to feed 100 families in need. Many of the attendees are students and their families from the school district. 50% of the students at the school qualify for free or reduced lunch, reaffirming the need for the resource. 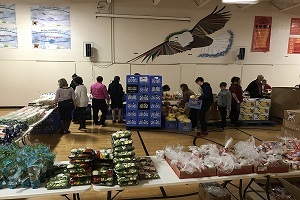 When visiting the mobile pantry, many families expressed gratitude for the service. 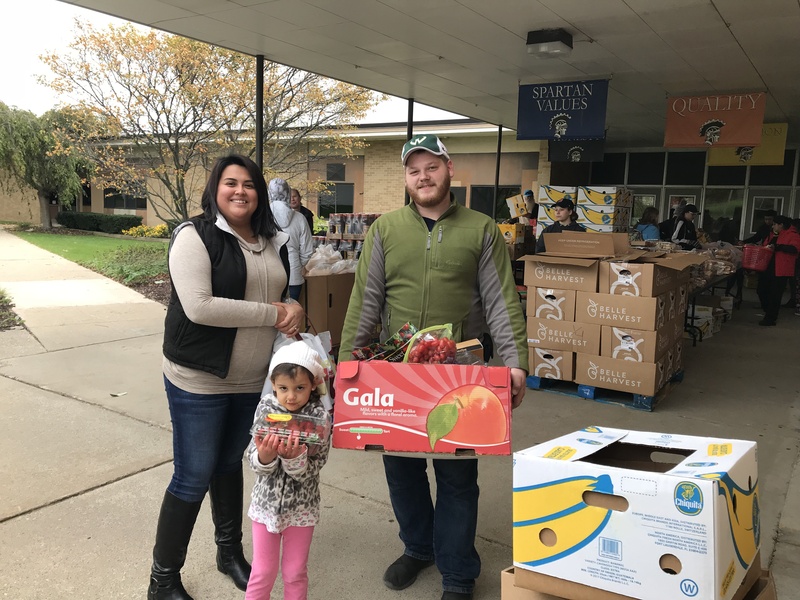 Sara and her husband Aaron, a family from Sparta, have been attending this mobile food pantry distribution since it began in June 2018. “It helps so much! I used to work full time, just until recently. I thankfully haven’t had to worry,” Sara said. 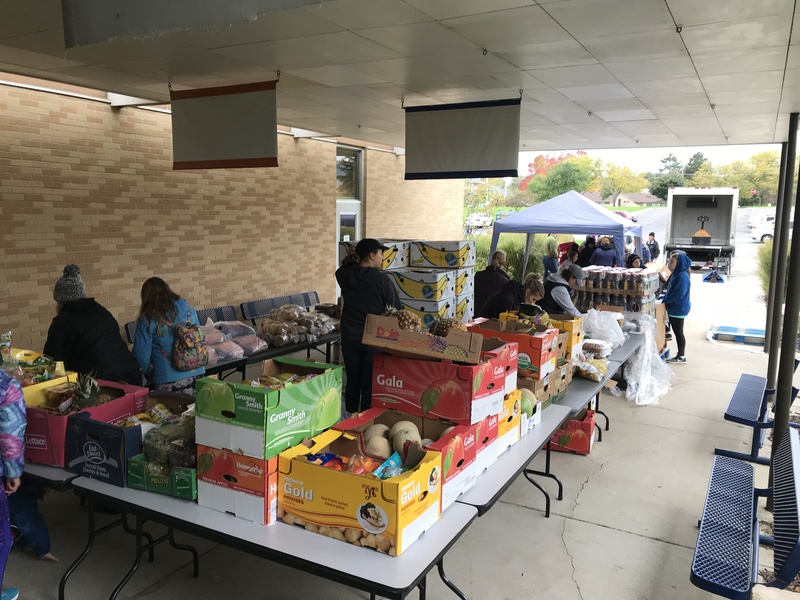 With a young daughter and another child on the way, Sara and her family are also grateful for the healthy mix of products that they receive from the mobile food pantry. “This one (distribution) usually has a lot of the fruits and vegetables,” Sara said. Aaron, who works at a warehouse in the area, hunts to provide meat for their family. 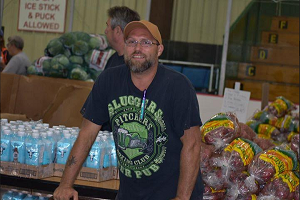 The couple also attends another monthly mobile food pantry at Peace Lutheran Church, ensuring they never go without enough to eat. “Every time we come, it doesn’t matter which location we go to, everyone is always so helpful, and so nice,” Sara said. 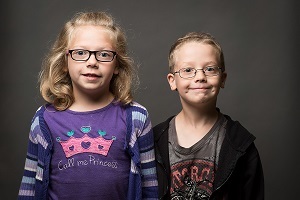 “They always make you feel so welcome.” Sara and Aaron work hard to provide for their family, but are grateful to know that a safety net exists when their budget doesn’t stretch far enough. Sara and Aaron leaving the mobile food pantry with arms full of groceries. 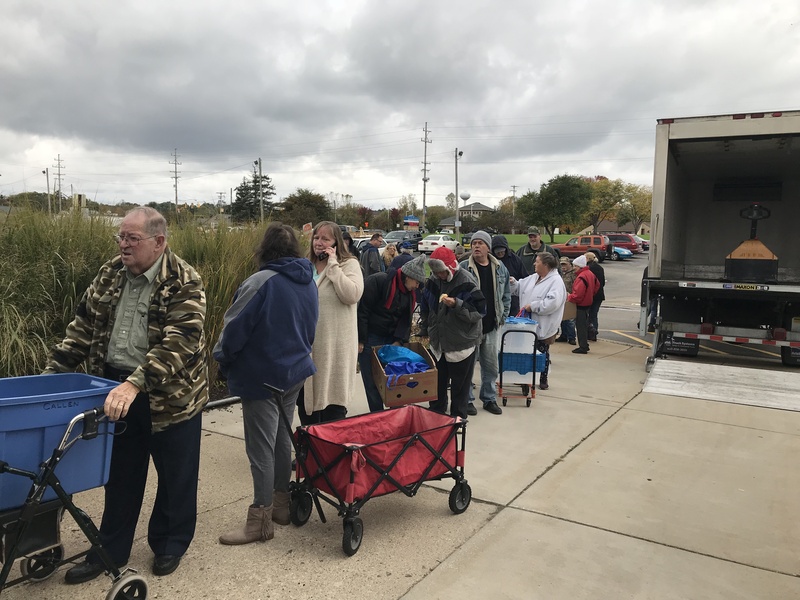 “These mobile food pantries successfully reach families in need of food support that would otherwise go without,” Cinda said. “We are so grateful for Feeding America’s continued support to provide mobile food pantries in Northern Kent County.” Feeding America West Michigan is thankful for partners like Morgan Stanley and Kraft Heinz Company Foundation who help make it possible to provide consistent, nutritious food for community members who need it.